Xfinity is trying something new and unique. 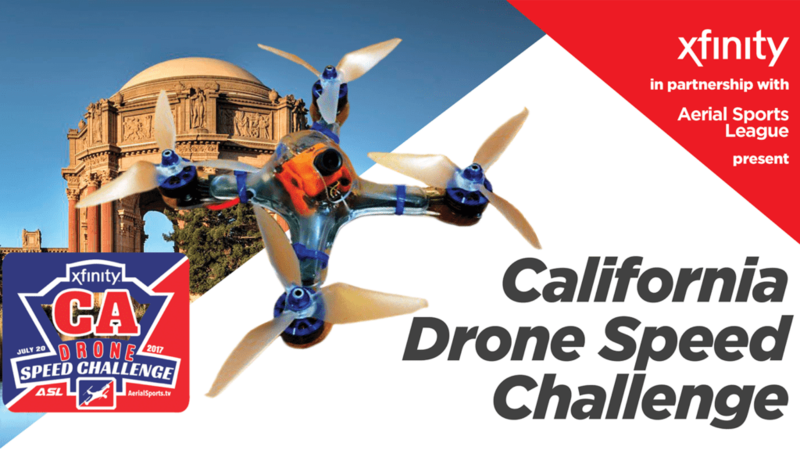 On July 20, Xfinity is teaming up with Aerial Sports League™, the leader in drone sports to host The California Drone Speed Challenge – a series of drag races pitting 16 of the top drone pilots in California against each other on the Twisted ¼ Mile drone course. A $10,000 prize purse and ultimate bragging rights are up for grabs as the pilot’s battle along the “Twisted ¼ Mile” at the ASL dSports World Arena, located within the historic Palace of Fine Arts in San Francisco. 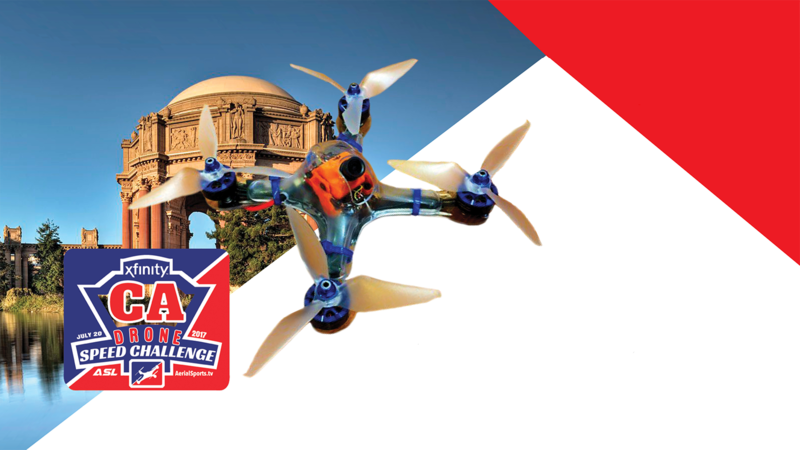 The California Drone Speed Challenge promises to shine a positive light on drones as a force for good not only in the exciting world of aerial sports, but also in STEM education and community outreach programs throughout California. On behalf of the winning pilot, Comcast will make a donation to Girls in Tech (GIT), a global non-profit focused on engagement, education and empowerment of girls and women who are passionate about technology. In late May, Comcast announced that it launched a new internet service that will deliver speeds up to 1 Gigabit-per-second (Gbps) to residential customers throughout most of California. These speeds will be among the fastest and most widely available in the region and include access to the nation’s largest Wi-Fi network of more than 17 million hotspots. Combined with the company’s recently launched Xfinity xFi platform, a new and personalized home Wi-Fi experience, Comcast is giving California customers the fastest speeds, the best coverage, and ultimate Wi-Fi control in their homes. Comcast’s new 1 Gigabit internet service will use DOCSIS 3.1 technology to deliver the speeds over the existing communications lines that are already in most people’s homes. To enjoy the service, all customers need to do is install a new DOCSIS 3.1 cable modem. New and current customers in California can visit Xfinity.com/gig to learn about the new service and request additional information.